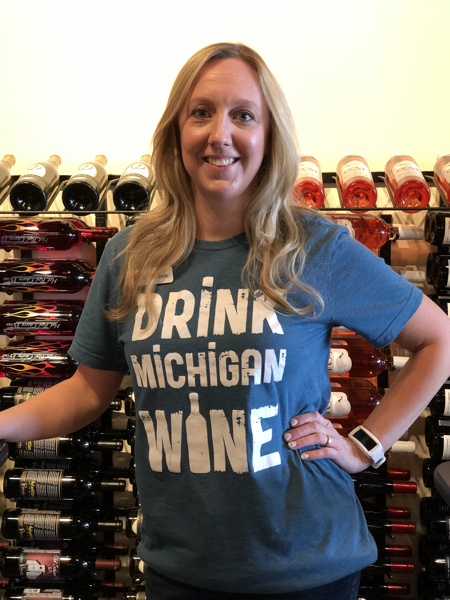 Teal blue unisex cut with crew neck and the slogan: "Drink Michigan Wine." Reverse has the MBTB Tasting Room logo and list of MBTB locations. Sizing note: These shirts generally run true to size. 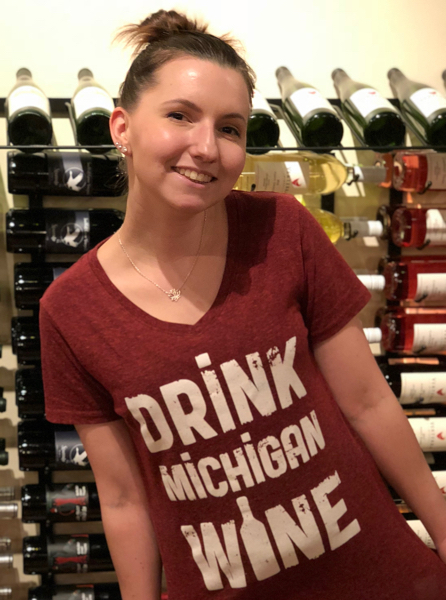 Heathered red ladies' cut with V-neck and the slogan: "Drink Michigan Wine." Reverse has the MBTB Tasting Room logo and list of MBTB locations. Sizing note: These shirts run very small. We recommend buying at least two sizes up from your usual size. 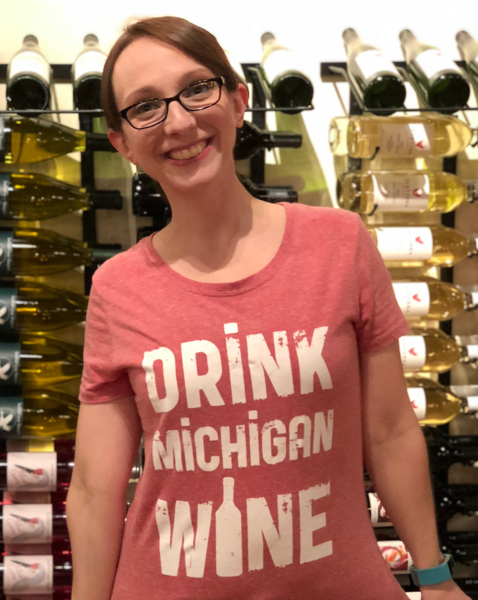 Heathered pink ladies' cut with crew neck and the slogan: "Drink Michigan Wine." Reverse has the MBTB Tasting Room logo and list of MBTB locations. 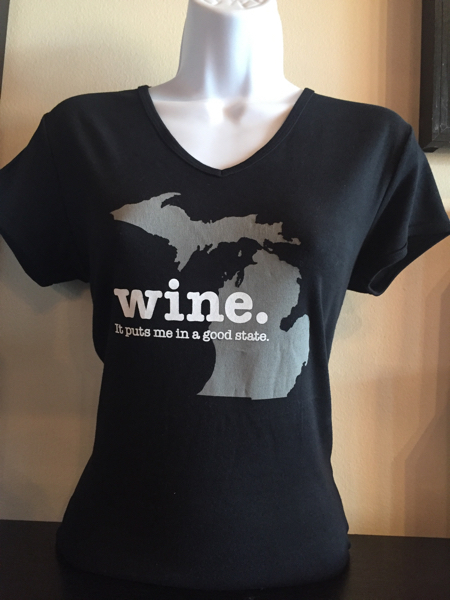 Comfy, stretchy black shirts with an image of the state of Michigan on them and the slogan: "Wine. It puts me in a good state." Sizing note: These shirts run fairly small. We recommend buying at least one size up from your usual size. Available only in tasting room. 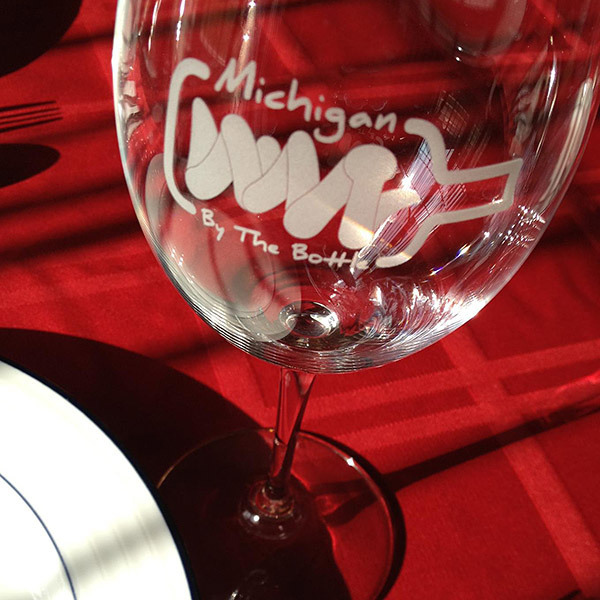 Re-create the tasting room experience at home with our MBTB logo stemware. These full-size glasses are crafted from lead-free crystal by Riedel, one of the most well-known makers of quality stemware, and designed to maximize wine aroma and flavor. 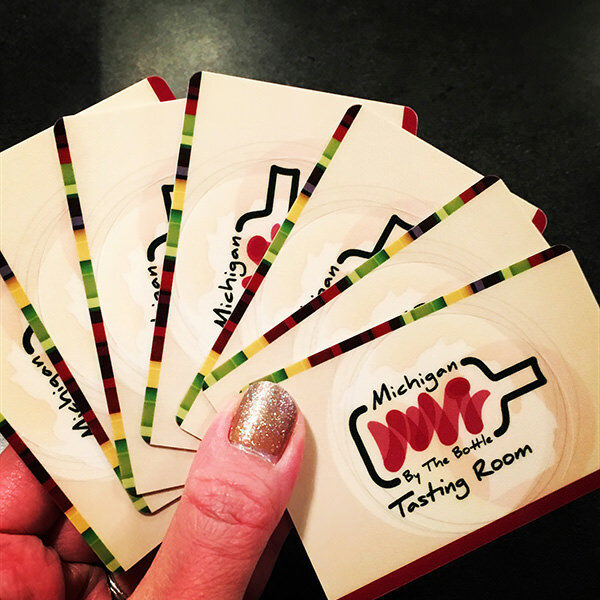 ©2016 Michigan By The Bottle. All rights reserved.